Those of you following the heavy-duty pickup segment know that manufacturers have been locked in an all-out brawl for quite some time now. 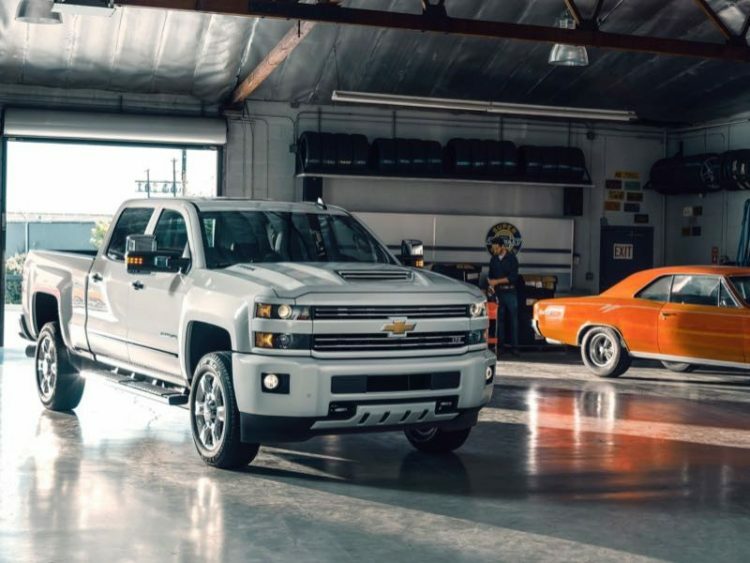 Three-quarter and one-ton trucks have not only been getting stronger but have gone upscale, and they feature many of the same creature comforts as the top-of-the-line passenger cars and SUVs from the same brands, Chevrolet included. 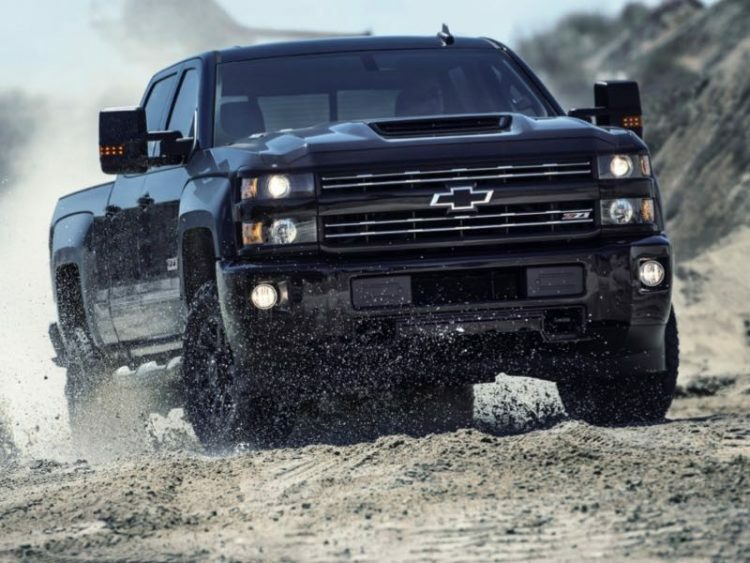 For model year 2017, Chevy is delivering its next-generation of the Duramax 6.6-liter V-8 turbo-diesel engine. It brings more power and more workability while being quieter than the unit it replaces. Along with these improvements comes a new hood design as well – one that includes a new vehicle air intake system highlighted by a new hood scoop. 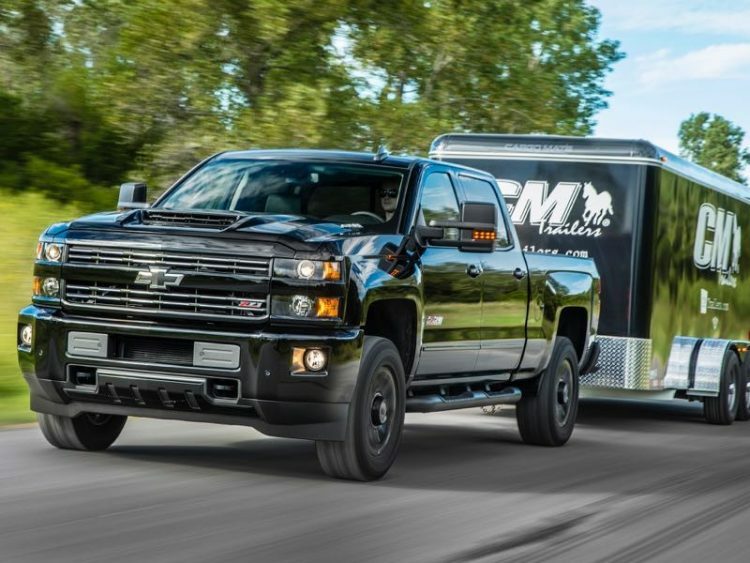 Power ratings for the new Duramax are 445hp and 910 lb. ft. of stump-pulling torque. 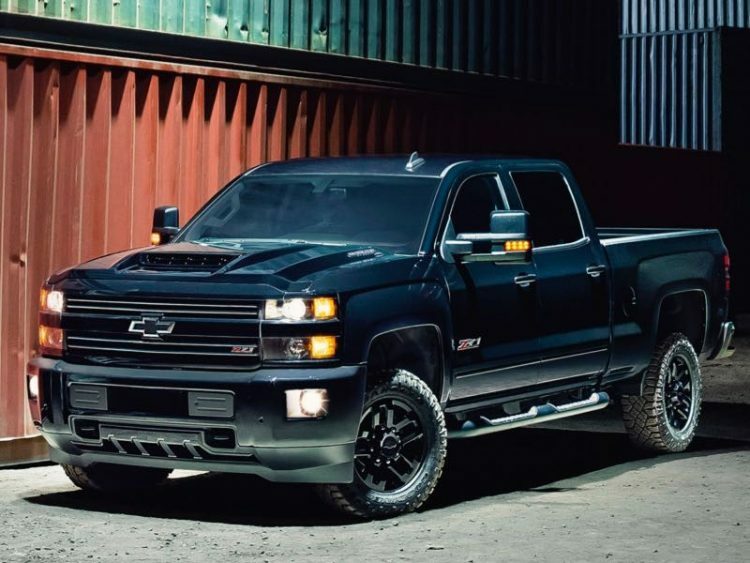 It is available on Silverado 2500HD and 3500HD pickups that come in two- or four-wheel drive and all Duramax engines are mated to the heavy-duty Allison 1000 six-speed automatic gearbox. Our recent tester was the 2017 Chevrolet Silverado 2500HD 4WD LTZ Crew Cab model. 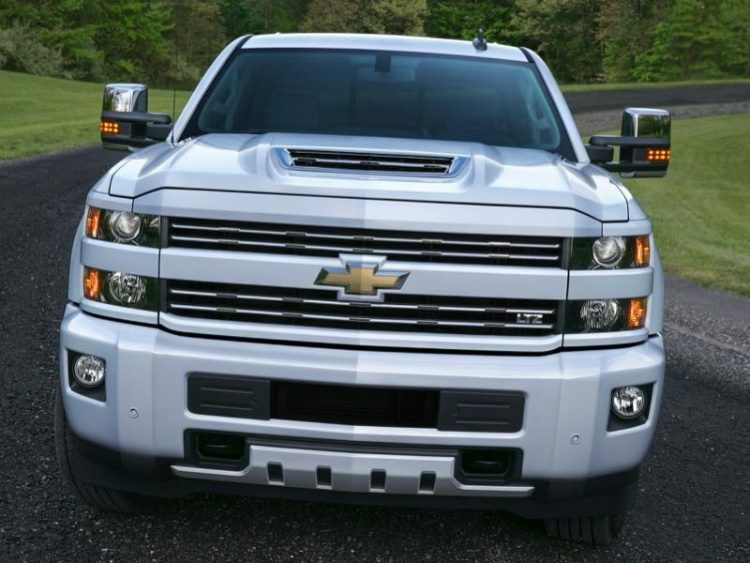 First impressions of the 2017 Chevrolet Silverado HD trucks are quite stunning, there is just so much to be said for having a functional hood scoop on a factory vehicle. The truck sits very athletically, almost as if posing for a body-builder calendar. The ride and handling are well above par and this Duramax powertrain is every bit as quiet and smooth as advertised. When needed, however, the powertrain comes alive and pulls with great force smoothly across a wide powerband. No doubt this truck will quickly be employee of the month for many businesses. Over the past two years, Chevy has given the heavy-duty trucks a host of new technologies on the safety, infotainment, and driver assistance fronts. The big trucks also offer gooseneck/fifth-wheel trailering prep from the factory along with spray-in bedliner. The standard Stabilitrak stability control comes with Trailer Sway technology and the HD models include integrated cruise control, auto grade braking, and diesel exhaust braking. There is also a standard automatic locking rear differential for those moments when low traction is detected. Nearly every amenity found in the light duty trucks is now offered on the 2500HD and 3500HD models. This includes heated and ventilated leather seating, heated steering wheel, Bose premium audio system, power-adjustable pedals, front and rear park assist, rearview camera, 8-inch color touchscreen display, 4G LTE Wi-Fi, lane departure warning, forward collision alert, safety seat alert, power-sliding back glass, 20-inch wheels and tires, chrome side assist steps, and EZ lift and lower tailgate with remote locking. 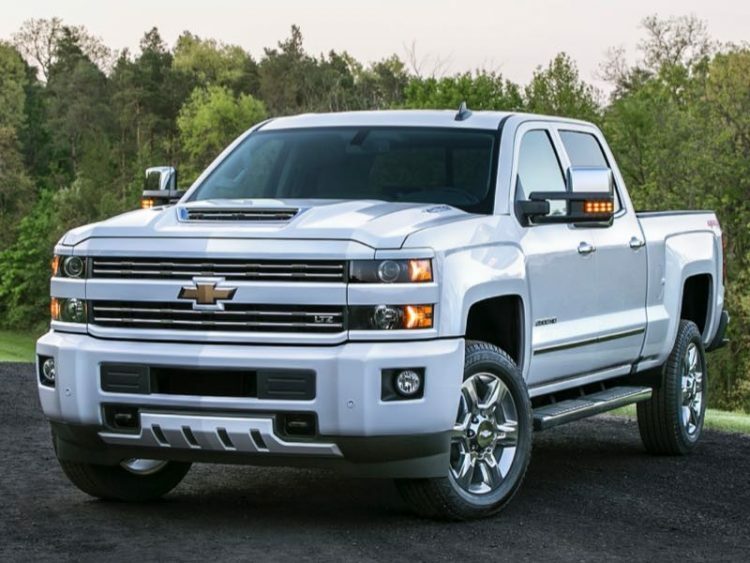 Another new feature on the big Chevy trucks is the Custom Sport Edition package that brings body color grille with chrome bars, body color front and rear bumpers, and polished aluminum wheels. Combined with the new Duramax hood this makes for one very attractive truck package. I was confused to see chrome outside mirror surrounds on this package that adds body color to most other elements that might be traditionally chromed. Perhaps this was an oversight in the design department. Pricing for the 2017 Chevrolet Silverado 2500HD begins at $51,375 with our LTZ 4WD tester arriving fully loaded at $66,745. Fuel economy is not discussed in these circles and is not required by the EPA but you can expect around 12 mpg city and 18 mpg highway. 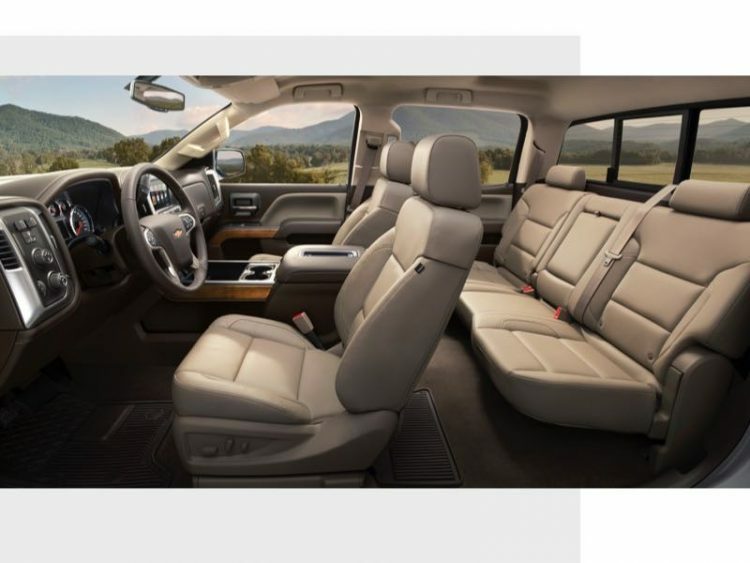 Two bed lengths are offered: 6’6” and 8’, and these are mated to various configurations of regular, double, and crew cab body styles. The heavy-duty truck segment continues to evolve and the powertrains continue to grow stronger. The Chevy 2500HD can now haul up to 3,233 lbs. and tow up to 13,000 lbs. tongue-pull or 15,400 lbs. by fifth wheel, and they do it with such style and grace.